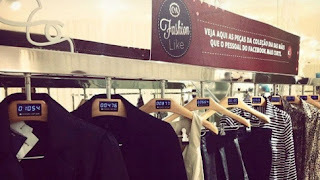 People in Brazil must really like hangers, so much so they put Facebook "Like" counters on them in C&A retail stores. Naaaaah - just playing. The likes are for the clothes, not the hangers. But the real-time counters bring a whole new level of social shopping to retail, and they let people determine which clothes they like based on how many other people like it.